Welcome to episode one hundred and seventy nine of The Inspired Women Podcast. In today’s episode your host Megan Hall interviews Jen Ruiz. 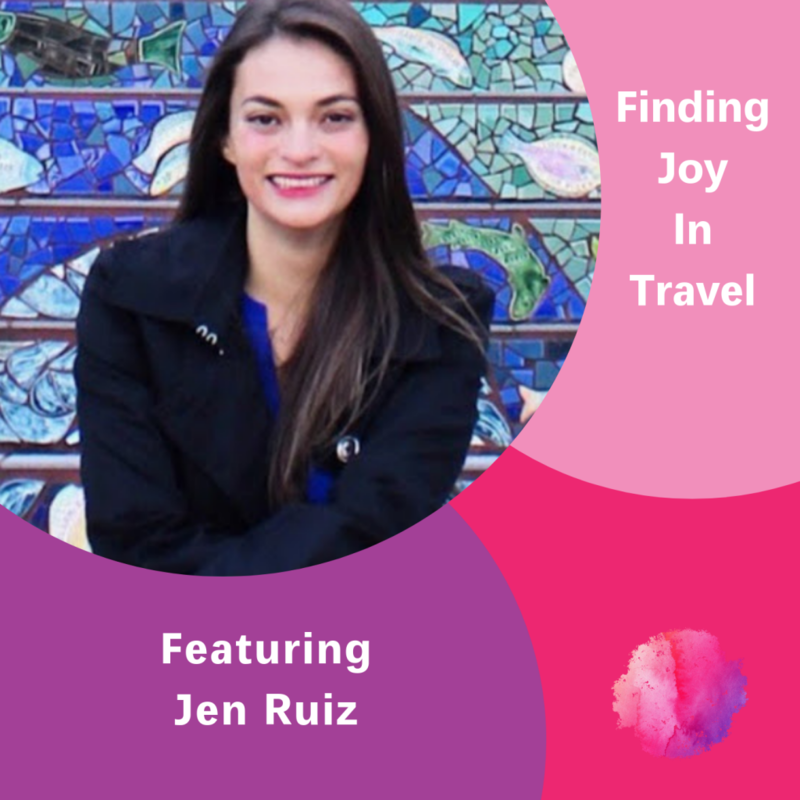 Jen Ruiz is a lawyer turned travel blogger and author. She is a #1 Amazon bestselling author and her book, “The Affordable Flight Guide” is a 2018 Readers’ Favorite Award winner. Jen is also a TEDx speaker and has been featured as a budget and solo travel expert by The Washington Post, Huffington Post, Business Inside and ABC News. She documents her adventures on her website, Jen on a Jet Plane, and helps young professionals travel for less and experience more.